Merryweather skied her first downhill races at the mountain, where she won the national title Tuesday. CARRABASSETT VALLEY — When Alice Merryweather was a student at the Stratton Mountain School, a ski academy in southern Vermont, she and her teammates would venture to Sugarloaf each January for speed week. With her win in the downhill national championship Tuesday, Merryweather now has another reason to think fondly of Sugarloaf’s Narrow Gauge trail. With a time of 1:10.61, Merryweather claimed the downhill title, the first national championship of her career. The win caps a season of speed and growth for Merryweather, who spent most of the winter competing in downhill and Super G races on the World Cup circuit, which set the tone for her championship-winning run Tuesday. 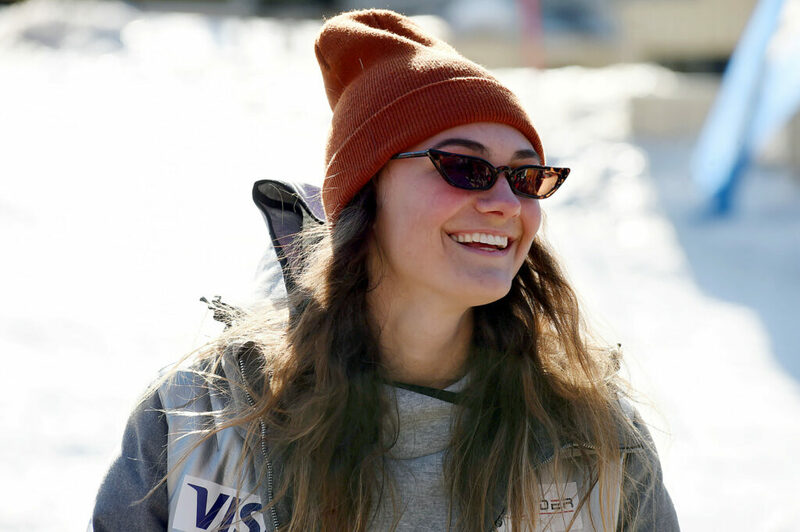 Merryweather was relaxed enough to enjoy a breakfast sandwich and complete a Sudoku puzzle in the lodge between Tuesday morning’s NorAm downhill race, where she placed third, and the national championship run. Merryweather was the second skier on the course in the afternoon’s championship race, and shaved more than a second off her morning time, 1:11.73. “For downhill, for me at least, I like to just stay calm down and not overthink anything… This morning was OK. I laid down a solid run. Just a couple of mistakes and it wasn’t my send-iest skiing. In this run, I just got a little more fired up. The national title was on the line, so I just kind of pinned it a little more,” Merryweather said. Long before she was racing, Merryweather embraced speed. Liz Merryweather, Alice’s mother, recalled her daughter skiing fast to keep up with her older brother and cousin on family ski trips to New Hampshire. “Alice would not let those boys go any faster than her. 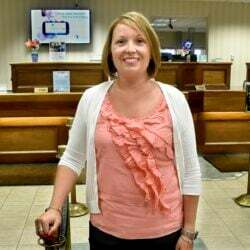 She was chasing them from the time she was on skis, and hasn’t really slowed down since,” Liz Merryweather said. At home in Massachusetts, Merryweather’s parents routinely set their alarm for 3 or 4 a.m. to watch the live stream of their daughter’s World Cup races. They were able to travel to Europe this past season to watch a couple races in person. Merryweather described herself as an accidental speed skier. Merryweather took fourth place in the Super G at last year’s national championships in Sun Valley, Idaho. That success carried over into the World Cup season. Merryweather took an eighth-place finish in the downhill at Garmisch-Partenkirchen, Germany on Jan. 27. Merryweather finished the World Cup season three points shy of qualifying for the finals, a bittersweet end to what was a season of improvement. On Monday, skers were given the opportunity to take a pair of downhill practice runs. Merryweather had the fastest time in the first practice run and called it good, declining the second. After the national championships this week, Merryweather will finish up classes at Dartmouth College (Hanover, New Hampshire) for the spring semester. 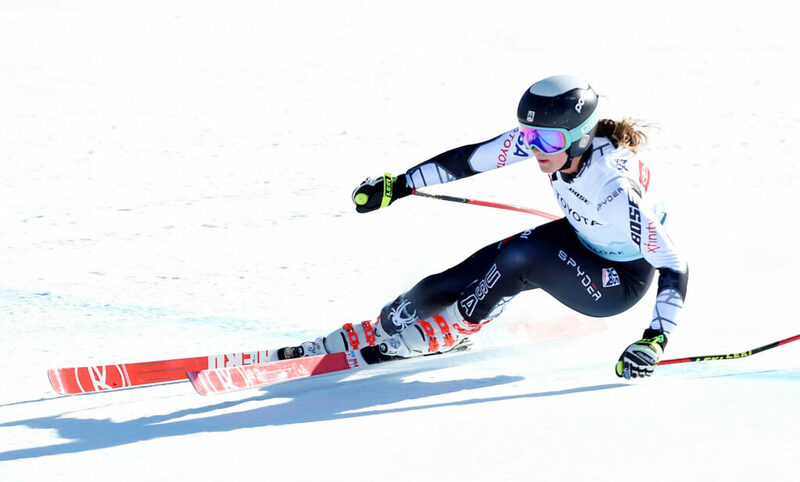 She plans to savor the national title won at Sugarloaf, where she first learned to race as fast as she can, and enjoy some time off before prepping for the next World Cup season. “It’s really cool to be back. To think about what I would tell myself six or seven years ago, that you would win a national title on this hill, I probably wouldn’t believe you,” Merryweather said.